Douglas Gayeton is an Award-winning American multimedia artist, filmmaker, writer, photographer and the author of Local: The New Face of Food and Farming in America (Harper Design) and Slow: Life in a Tuscan Town. He and his wife Laura are the directors of the Lexicon of Sustainability project (www.lexiconofsustainability.com), which is based on the premise that ‘people will live more sustainably if they understand the most basic terms and principles that will define the next economy’. Gayeton lectures frequently on art, technology, and sustainability and is an excellent speaker for environmental conferences, businesses, food events, community groups, colleges and universities. For the past three years, Gayeton has traveled the country, interviewing and photographing leaders-Alice Waters, Wes Jackson, Will Allen and Temple Grandin to name few-in the sustainability movement, as well as everyday farmers, fisherman, and dairy producers to better understand American food and farming today. Their insights, along with stunning collage-like photography serve as the core of Local, in which Gayeton isolates and de-mystifies over 300 terms-words like “food miles”; “locavore”; “organic”; “fish farm”; “hormone free”-in an accessible and meaningful way. They also form the basis of Know Your Food, a twenty-four part short film series he wrote and directed for PBS. It can also be accessed by book buyers directly from any mobile device. Throughout Local, each chapter opens with a personal essay by Gayeton, detailing an aspect of his journey into the heartland of America, and follows with a comprehensive collection of terms, accompanied by Gayeton’s beautiful four-color photographs. 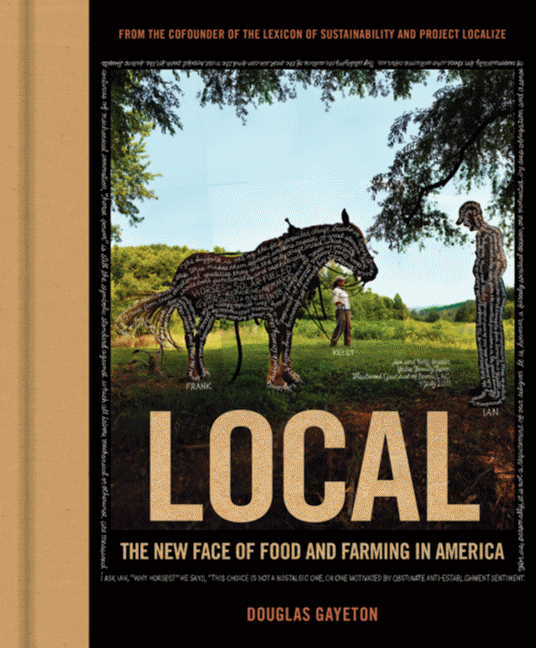 Local: The New Face of Food and Farming in America educates, engages, and inspires people to pay closer attention to how they eat, what they buy, and where their responsibility begins for creating a healthier, safer food system in America. 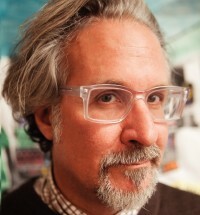 Gayeton received his BA in Literature and Writing from the University of California, San Diego in 1983, and did graduate work at USC’S School of Cinema. His photographs have been printed in Time, Cucina Italiana, Edible and Orion, among others, and are held in numerous museum and private collections around the world. He currently divides his time between his farm near Petaluma, CA, and Pistoia, located in the Tuscany region of Italy.